GARLIC HARVEST EARLY THIS YEAR: We harvested our garlic this week. The harvest is two weeks ahead of last year. 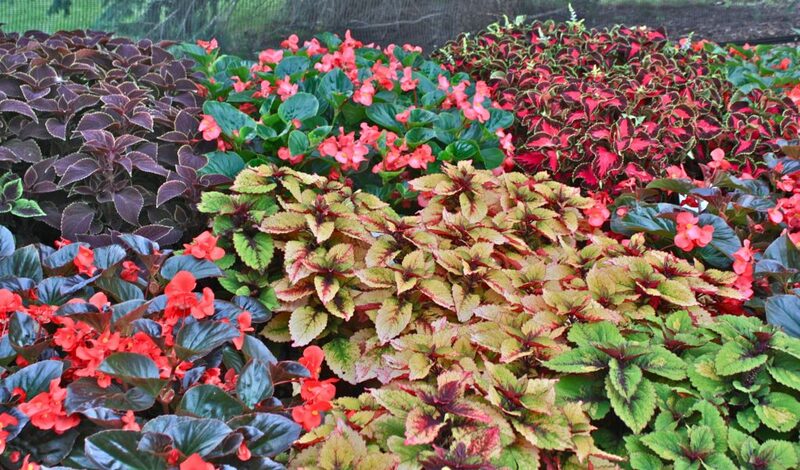 Several of our new varieties have produced terrific bulbs. Some of the new selections from Ontario, Canada and from Romania have produced very large cloves. We will have more pictures of the garlic after a few days of drying. Each clove of the ‘Duganski’ variety has beautiful purple stripes and the taste is very fiery. 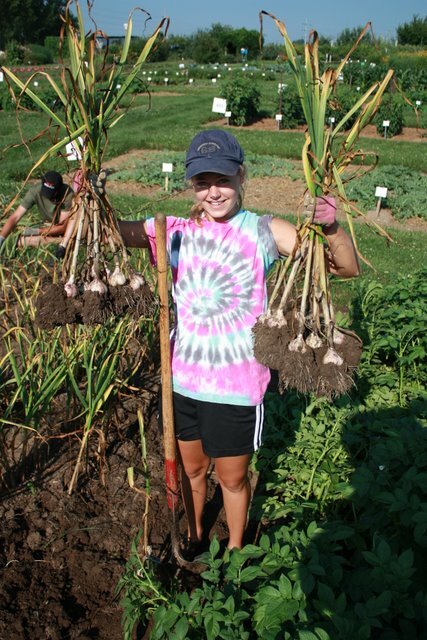 The garlic varieties will be for sale at our August 21, Urban Horticulture Field Day. 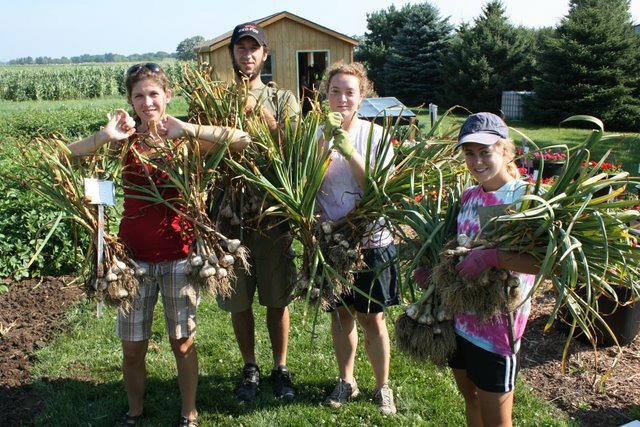 This entry was posted in Plant Development and tagged drying garlic, growing garlic, harvest, vegetable harvest, vegetables by bemerson. Bookmark the permalink.